The principal focus of my practice is to assist financially troubled small businesses. I also represent clients in civil litigation, especially involving complex debtor/creditor issues relating to uncollected payments for work performed or products sold. My approach is to work closely with my clients, finding resources in the law, and giving due attention to the underlying interests and concerns of the parties in conflict, to bring the best result as quickly and cost-effectively as possible. As a sole practitioner one method for keeping the costs of my services down for my clients is to utilize carefully-chosen contract attorneys who are less expensive than I but provide excellent work under my supervision. My 22 years of legal experience have helped me develop a variety of approaches and tools for problem-solving. My goal is to work together with the client to achieve the best result through informal, win-win conflict resolution where possible and appropriate, or through aggressive negotiation or litigation as needed. I recognize that however complex the facts or law, the client is a person whose life is affected by the problem I am asked to address. I work as a counselor as well as advocate, developing practical advice and strategies attentive to the client’s goals. I am committed to listening carefully to what the client wants and needs, and explaining the complexities of the law in an understandable and manageable way, so that as a team we can best respond to the legal and practical challenge, and move on. I primarily represent businesses and individuals who are sole proprietors or controlling shareholders or partners in businesses. My clients include businesses filing Chapter 11 bankruptcy, as well as all the other parties involved in the Chapter 11 process. There are several bankruptcy alternatives, as well, that I explore with troubled-business clients. 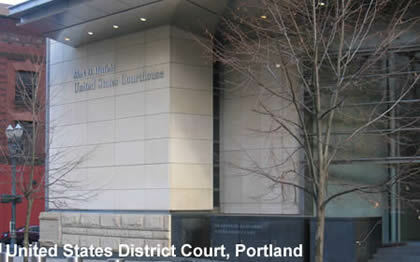 I have extensive experience litigating in state and federal court, including bankruptcy court.